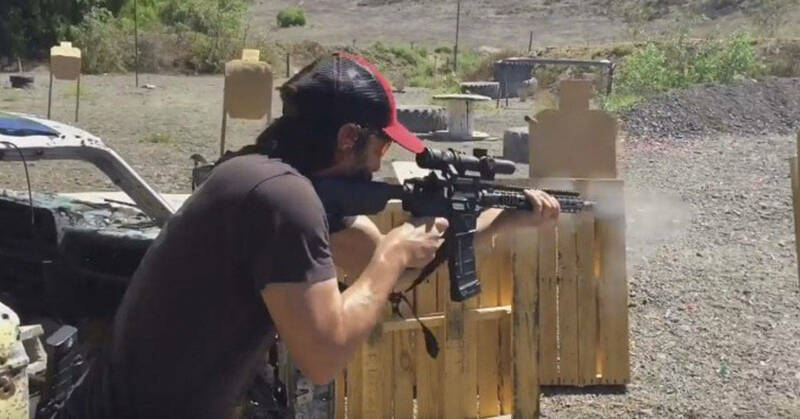 A video released by firearms dealer Taran Tactical Innovations features the star of John Wick, Point Break, and The Matrix throwing some serious lead downrange at what's known as a "3-gun course." "Do you guys want to watch Terms of Enrampagement?" 3-gun is a shooting exercise where competitors use three firearms: a sporting rifle, a pistol, and a shotgun. The shooter must move through stages and hit targets from various ranges using each of the different firearms. And, judging by the video footage, Keanu Reeves is good at it. The targets on the range are anywhere from 5 inches to 100 feet away. 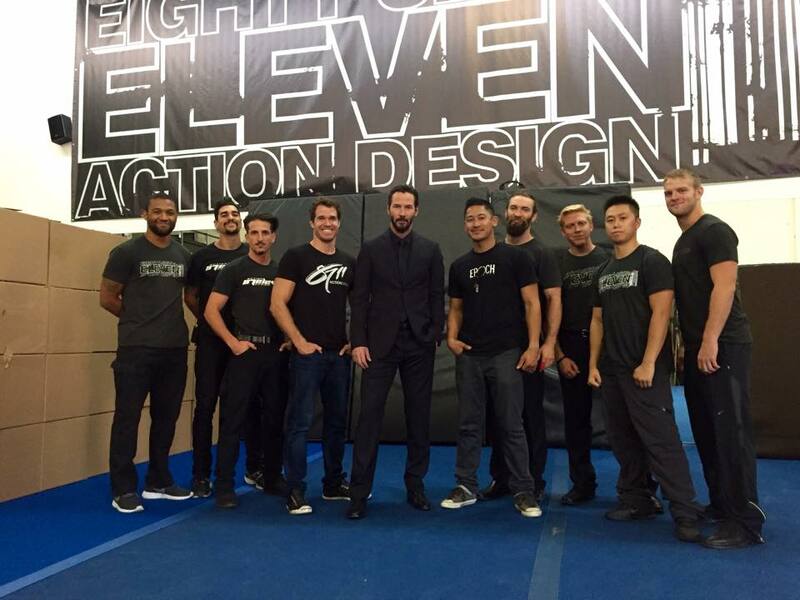 The video caption reads "Keanu and the guys at http://www.87eleven.net/ are putting in WORK!" 87 Eleven is an "Action Design" company whose directors, David M. Leitch and Chad Stahelski, also provide fight choreography, stunt work, and training for movie projects. The company provided training on Reeves' film John Wick as well as 300, Fight Club, the Hunger Games series, and even Taylor Swift's "Bad Blood" music video. Taylor Swift, it's time for your own CQB video.